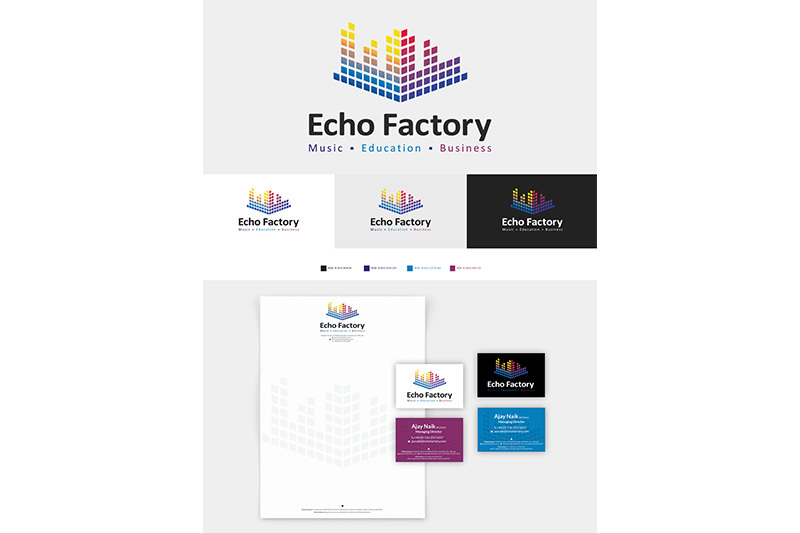 Echo Factory was formerly the British Centre for Music and Enterprise. BCME came to Kerbang to help rebrand the institution to something that more reflected their creative vision. 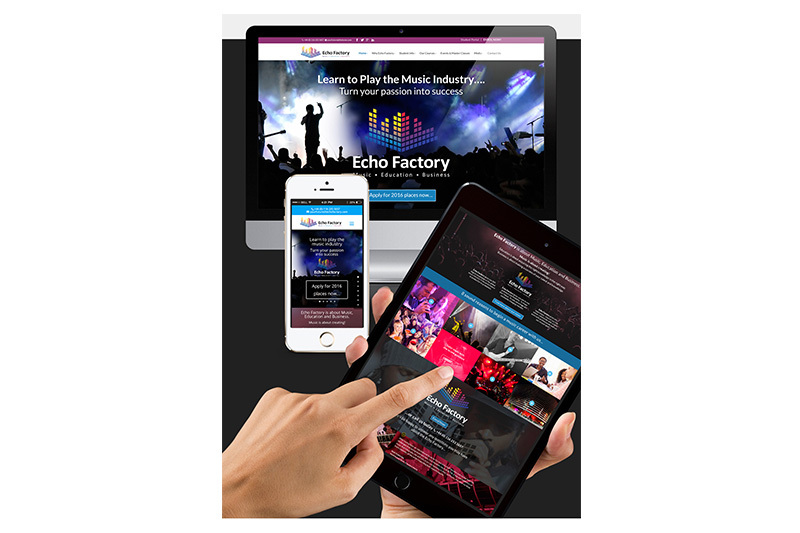 BCME had developed a course that while satisfying academic excellence gave students a 360 degree practical grounding for a career in the modern music industry. The school was moving into a building in Leicester’s Creative Quarter that was a landmark concept for an educational venue, incorporating a recording studio and a live venue. The brief was to convey the buzz and creative nature of the school without compromising its academic and professional credentials. 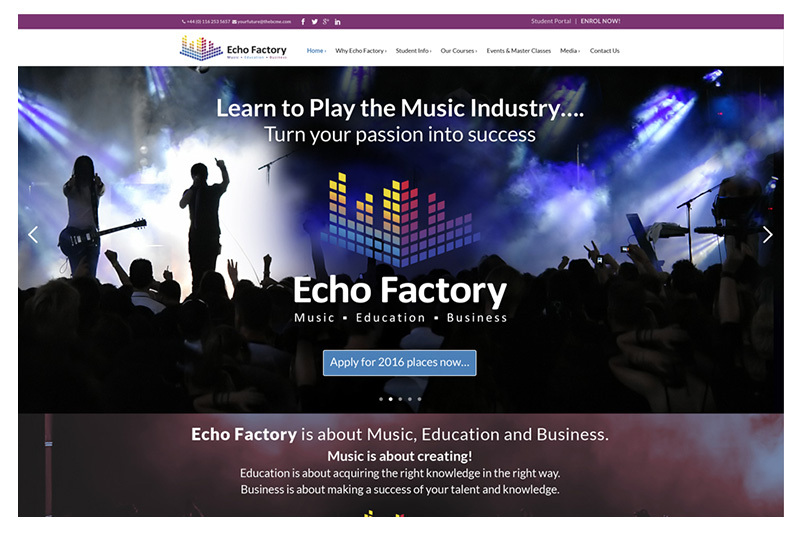 Remastering the Music Business...Learn to play the Music Business...Make Music. Make Business.